A minimum deposit of £10 is required. The minimum withdrawal from your cash funds is £10. Our Website terms and conditions apply in full. This offer gives you the following bonus: 121% up to £300. There are wagering requirements for you to turn these bonus funds into cash funds. This is 35x bonus. Games contribute differently to the wagering requirements. 21 Casino first launched in 2012 as part of the Caddell Group. It’s an online casino that keeps everything nice and simple, eschewing flashy gimmicks in favour of a gaming experience that’s as smooth as a beached pebble. It’s long held a UK gambling license and offers a secure, safe, and heavily vetted environment where you can play a fine selection of games. Throw in some excellent bonus promotions including 121% welcome bonus for new players and all the foundations are in place. But does 21 Casino build on them to become a true player favourite? The 21 Casino UK site shows there’s something wonderfully reassuring about an online casino that isn’t afraid to keep it simple these days. But you know what? So many sites are obsessed with the ‘novelty’ value that they failed to appreciate that any casino that creates a seamless gaming experience is pretty novel anyway. Not so 21 Casino. Its interface is so intuitive that you’ll forget you’re playing at a new casino within five minutes of signing up. Plus, the casino looks great to boot. It uses a predominantly black colour scheme with a splash of yellow and white, including a chalkboard background. It’s classy that design that blends a classic layout with a contemporary appearance. The casino games section is typically sleek, featuring tidily ordered games above a white grid, with several filtering options neatly arranged above them. The homepage is similarly uncluttered. It features a large but unobtrusive banner across the top, links to key sections via top and side menus, as well as a couple of other promo advertisements. Whatever the opposite of loud is, 21Casino is it. The 21 Casino registration process takes about 1 minute 34 seconds from start to finish and includes high-level SSL encryption. Yes, we timed (we’re sad like that). The 21 Casino login asks you to select a username & password, share a few necessary contact details and then verify your account via an emailed link. You’re then ready to claim your welcome bonus (should you want it) and start playing. The 21 Casino login is an adequate (if necessary) user portal, which tells you your current cash balance, bonus amount and tracks your progress against any wagering requirements. The site is efficiently well laid out, so key sections are easy to find. You will, however, need to scroll down to the bottom of the page to see detailed information about the 21Casino terms and policies but that’s it’s hardly hassling. Especially given that most people don’t read them. The games section features some interesting filters. You can browse the whole collection of course, but you can also display video slots vs classic slots, for example. Or only display the slots with the biggest jackpots if you prefer. We can’t make up our mind how useful it is, but it’s an apparent attempt to do something a bit different. The ‘promo’ section causes similar ambivalence. We assumed that it would filter down to the games currently subject to bonus offers. That’s not quite the case – it shows the latest releases and most popular slots. It’s still a good place to go if you’re looking for quick ideas though. 21 Casino games titles features hundreds from 51 different providers. The big software boys like NetEnt and MicroGaming are there of course, but there’s a nice selection of games from some of our favourite smaller studios like Blueprint Gaming, Aristocrat and Elk. The slots game catalogue is impressive once you delve into it. The video slots are supplemented by a small selection of jackpot games including NetEnt’s three popular titles – Mega Fortune, Arabian Nights and Hall of Gods. Microgaming’s Mega Moolah is, however, conspicuous by its absence. We know a lot of you love that one. Moving away from slots, 21Casino games boasts a diddy live casino with five different games including baccarat, roulette and blackjack games. Most gaming sites will include some level of live dealer games for those who want it these days, but in truth, there’s better to be found elsewhere if you crave the real-life action. The list of table games is fairly middling too (21Casino prioritises slots like so many others) but there is an interesting ‘High Roller’ section that will entice the serious gamblers amongst you. Remember to play sensibly, kids! 21 Casino recently updated the website to reduce the focus on dealer games. We are not sure why, but at least they have maintained the simple site design when so many other online gambling sites have gone the opposite and introduced more clutter. Just like our very own 777, the number 21 is renowned in gaming circles, not least in Blackjack. 21 Casino’s name reflects its importance, and they’ve extended them to the first part of the 21 Casino welcome bonus. Spend that 1 minute 34 seconds registering, depositing and you’ll immediately receive a 121% bonus up to £300. Any winnings you make are added to your bonus cash, which is visible from your profile. The bonus spins are subject to x35 wagering requirements, as are the other elements of the welcome bonus. This offer seems to be a direct response to the UK Gambling Commission targeting gaming companies for misleading advertising. The 21 Casino no deposit promotions are back in the UK but more on that later. If the inclusion of a bespoke high rollers game section is indicative of 21 Casino’s commitment to big spenders, their 1st deposit bonus is similarly telling. They provide a 121% first deposit bonus up to £300. You can opt out of the welcome bonus if you prefer to play with your own cash and no wagering requirements form the start. We should also add that the description of the bonus elements in the drop-down when you deposit is weirdly formatted and it’s best the check the promo page (or this very review) for full details. The bonus of 121% up to £300 is now standard across the globe. The 21 bonus spins are not available to UK players. Its important to note we can’t call them 21 Casino 21 free spins since they have a 35x wagering requirement in order to cash the wins out as real money. The 21 Casino mobile casino for iOs devices and Android follows in the footstep of its big desktop brother. It’s a sleek, smart site that’s controlled by a straightforward menu and grants immediate access to an excellent game selection. It’s accessed via your device’s browser and optimised for iOS devices like iPads and iPhones, plus smartphones and tablets of all shapes and sizes. The smart yet vivid colour scheme looks great, and there’s plenty of functionality included too. Again, we tested the live chat portal, and it worked correctly even late at night. There are no issues loading games or pages; everything is generally as it should appear. It’s an impressive cross-platform online casino. WHY BECOME A REGULAR AT 21 CASINO? Aside from being a classy online casino and a supremely comfortable gaming environment, 21 Casino also provides some perks for regular players. There’s a couple of recurring promos, which allow you to secure deposit bonuses on selected weekdays, although they aren’t exceedingly exciting. The loyalty scheme is well constructed though, and you can redeem your points in cash. The games selection is regularly replenished so be sure to check the new games section. Finally, customer service through live support is available from 9am-12am GMT every day. We contacted them right at the end of that timeframe and still got a response within an impressive 5 seconds. Those factors combined with the user-friendly site make 21 Casino a comfortable home for any online casino player. We’re big fans of 21 Casino here at 777 Casino, and not just because of the way they combine numbers with their word ‘casino’ in their title. This site seems to fly under the radar a bit, but if you want a straightforward, modern, hassle-free casino online, then you should look no further. They have the variety of casino games and live dealer games any discerning player is seeking. The welcome bonus is excellent although it could do with some more exciting regular promotions here and there. It caters to big spenders but is suitable for everyone thanks to the accessibility of its interface. It’s just a comfortable place to play and immediately makes you feel at home. It might lack the razzmatazz of some, but that’s precisely its charm. We think 21 Casino deserves a more significant reputation. Max. bonus varies per deposit (see below). Bonuses that require deposit, have to be wagered 35x. This offer is available to players residing in United Kingdom only. mrplay.com Welcome Bonus – 100% bonus on your first deposit up to £50 unless otherwise stated. This bonus only applies for deposits of £10 or higher! All you need to do is just deposit the money in your mrplay.com account and you will receive this bonus instantly! Deposit £10 get £10 free, play with £20. Deposit £30 get £30 free, play with £60. Deposit £50 get £50 free, play with £100. o Bonus Policy and Terms of Service apply. o The “Welcome bonus” must be wagered at mrplay.com within 21 days of being credited to your account. mrplay.com reserves the right, at any time, to revoke any welcome bonus not used within the allotted time period. o Please note that in the interests of fair gaming, we require you to have wagered a minimum of 35 times the sum of your welcome bonus before cashing out any winnings. Wagering requirements T&Cs apply. Deposit £10 get £10 free, wager is £350 to cash out. Deposit £30 get £30 free, wager is £1,050 to cash out. Deposit £50 get £50 free, wager is £1,750 to cash out. o Unless stated otherwise by mrplay.com, the non-deposit bonus is available to new players only (players who have not received this bonus before). Our welcome bonus is automatic. However, there are various reasons for not receiving it and you may need to personally request it. If you have not received your automatic welcome bonus after making an approved deposit, please contact our support team. This can be done online while you are playing (click the “online support” button), or by emailing support@mrplay.com. Just remember to state your username. o All free games credited to a player’s account must be used within 1 day from when the offer was granted. Unused free games will be removed from the account thereafter. o Free games are considered as a bonus and must be wagered before any winnings can be cashed out. The free games bonus is calculated as the total value of the winnings received through the use of the free games. The total value of such credit shall be subject to the wagering requirements set out below. o Players, who initiate a deposit in order to receive free games as part of a deposit offer, MUST wager their deposit amount before initiating a withdrawal. Players who withdraw their deposit without wagering will lose the free games earned from the deposit or if used, any winnings earned from the free games. o The above terms also apply to 20 FREE games ON YOUR FIRST DEPOSIT. For more details, please see our FAQ page. mrplay.com reserves the rights to change or cancel any offer at any time and for any reason. Bets on different games contribute differently to the compliance of the wagering requirements: Wagering, Bonus Policy. when you open new account, you have the option of not receiving the mrplay welcome bonus, by clicking ‘later’ at the end of registration process. Winnings received through the use of the free bonus (no deposit) or free spins shall not exceed £100. Any winnings which shall be made with the free bonus or free spins which exceeds the £100 maximum, shall be considered as nil, and shall not be recorded as winnings. Only the maximum winnings of £100 can be withdrawn by the Player subject to the terms specified in the Bonus Policy. When a bet abuses the betting system – regardless of which game it was placed on – it will not count towards a player’s wagering requirements. If the player placed single bets equal to or greater than £4 or £0.50 per line, or 15 percent of the bonus amount before the wagering requirements for the bonus have been met, we reserve the right to withhold any amount in excess of the player’s original deposit from a player’s withdrawal. 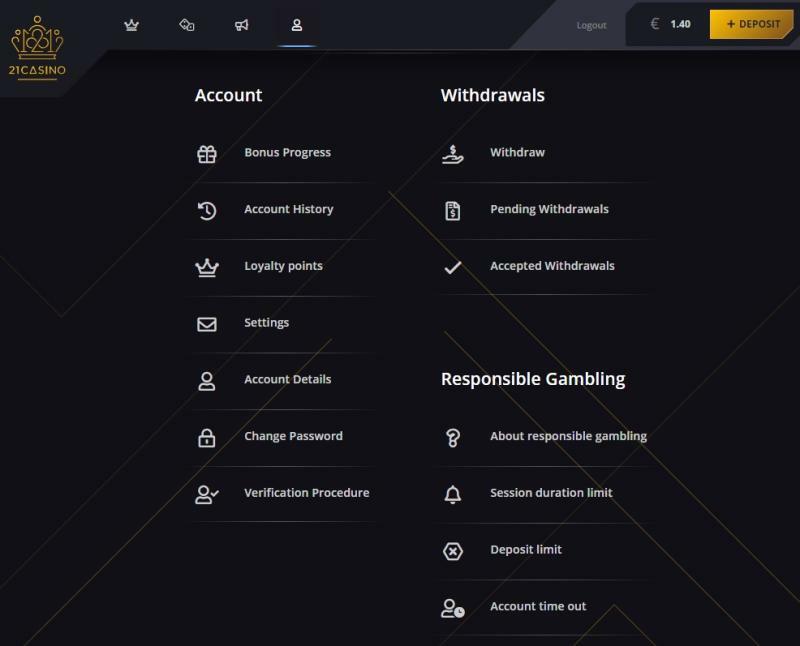 In addition, if a player deposited with Skrill or Neteller and placed single bets equal to or greater than £2.50 of the bonus amount before the wagering requirements for the bonus have been met, we reserve the right to withhold any amount in excess of the player’s original deposit from a player’s withdrawal. If the player placed bets on any of the games which contribute 0% to the wagering requirement before the wagering requirements for the bonus have been met, we reserve the right to withhold any amount in excess of a player’s original deposit from a player’s withdrawal. mrplay.com may cancel, amend or modify any promotion, competition, bonus or special offer by publishing the amended or modified terms or notice of cancellation on the relevant internet page of the promotion, competition or special offer. Such amendment, modification or cancellation shall take effect following the expiry of a period of 14 days of such publication, or with immediate effect, where required for security reasons, to comply with applicable law or regulation, due to abuse or otherwise where the promotion, competition or special offer is not capable of being conducted as specified as a result of exceptional circumstances. except where mrplay.com is required to prevent such withdrawal of funds in order to comply with legal and regulatory obligations (including anti-money laundering requirements). Free Spin credited for every £1 deposit. Up to 50 Free Spins valued at £0.10 each on Book of Dead. Min. deposit £10. First time depositors only. New GB Customers and first deposit only. The selected slots: Starburst, Moonshine Riches, Jumanji, Book of Dead and/or Bonanza. Spins only available on Starburst. Deposit and play through £200 on selected games and get 200 spins. No wagering requirement on spins’ winnings. 3 day expiry of spins after they have been added. 14 days from registration to claim offer. Customers depositing via Moneybookers, Skrill and Neteller will not be eligible for this Cash Spins Offer. You have a right to withdraw your cash deposit or any remaining cash deposit and any cash winnings from this deposit. Please be aware that if this is withdrawn, the spins and any winnings from the spins will be forfeited. All winnings from the spins will be paid out cash. Further eligibility and terms apply. What are the details of the Offer? You must be 18 years of age or over and residing in Great Britiain. This Betsafe Cash Spins offer is only available to new customers registering from 1st August 2018. This bonus is only available on your first ever deposit at Betsafe. This offer is limited to use with a single first deposit. This means it cannot be used with a series of cumulative deposits. You need to make a minimum deposit of £200 real cash and play through the £200 on either Starburst, Moonshine Riches, Jumanji, Book of Dead or Bonanza to be eligible for the 200 Cash Spins. You can only take the Cash Spins offer once. This offer can only be claimed within 14 days from registration. Cash Spins will expire 3 days from when they have been added to your account. There are no wagering requirements on Cash Spins’ winnings. If you deposit and play through more than £25 but less than £99 on Starburst, Moonshine Riches, Jumanji, Book of Dead or Bonanza, you will still only receive 25 Cash Spins. If you deposit and play through more than £100 but less than £199 on Starburst, Moonshine Riches, Jumanji, Book of Dead or Bonanza, you will still only receive 100 Cash Spins. If you deposit and play through more than £200 on Starburst, Moonshine Riches, Jumanji, Book of Dead or Bonanza, you will still only receive 200 Cash Spins. If you wish to make a withdrawal before you have played through your bonus amount, you will forfeit your Cash Spins. Note, you can withdraw your deposit/any remaining deposit and any winnings from your deposit at any time but you will forfeit your Cash Spins. You will receive the Cash Spins AFTER you have played through your cash amount. They will automatically be added to your account after you have deposited and played through your deposit. The Cash Spins can only be used on Starburst. Cash Spins are worth £0.10 each spin. Winnings generated from the Cash Spins will be paid out as withdrawable cash. You need to have a valid account with us and opt-in to accept bonuses at the time of registration. The promotion is available to all GB players who are opted into bonuses with the exception of those that have been excluded from bonuses or have opted out of bonuses. The minimum withdrawal is £10. All withdrawals will be paid back to the same payment method used to make a deposit on the account. Once a withdrawal is requested, it will remain pending for between 1-2 days. Once approved it will be processed immediately but may take up to 3 working days to reach your account – this period will vary depending of the withdrawal method selected. Be the first to review and rate 21 Casino!